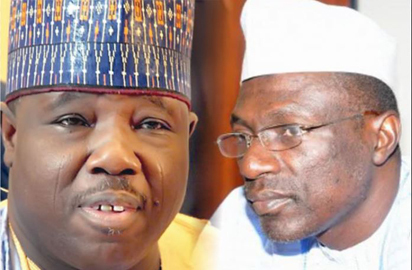 Sheriff express shock over supreme court judgement – Royal Times of Nigeria. Former National Chairman of the Peoples Democratic Party (PDP), Senator Ali Modu Sheriff, has expressed shock over the judgment of the Supreme Court which removed him from office on Wednesday, Punch reports. His reaction was sent by his erstwhile deputy, Cairo Ojuogboh and the former Spokesperson for his faction, Bernard Mikko, in Abuja on Thursday. The three-paragraph statement said, “We received with shock the 12th July judgement of the Supreme Court on the leadership of the Peoples Democratic Party. “Though we still await the full written judgement of the highest court from our lawyers who will fully brief us on the details of the judgement. In the interim, we ask all members and supporters to remain steadfast in prayers for Nigeria.